Since 1840, American political campaigns have been distinguished by what some might call the redundant display of the national flag. However, from the start, the Stars and Stripes flag has not just been the emblem of the national government, but rather the flag of the people and along with other banners, it has been used extensively by political aspirants. Today it is inconceivable that a candidate for political office would appear without a U.S. flag yet this phenomenon was engendered by the Industrial Revolution, which had the effect of moving flags from the handmade cottage industry "folk-art" into a relatively inexpensive consumer item. 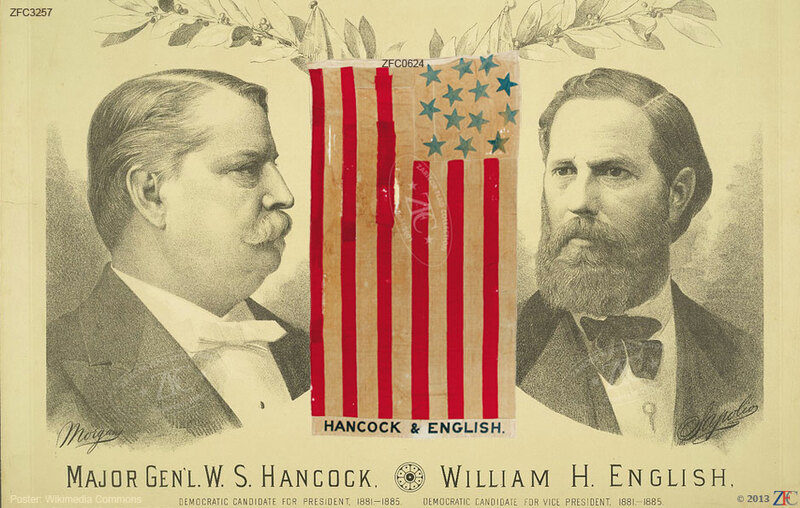 Included here are various flags, posters and political ephemera from a variety of U.S. presidential campaigns that ran from 1840 to 2008.